You must be a member of the Zurich Badminton Group to attend this activity. Would you like to join this group? 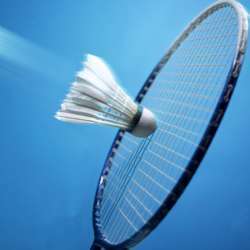 Come and join us for some fun and friendly games of badminton. Who: We are a mixed groupe from intermediate to advanced level players, with men and women of various ages and different nationalities. What: We play singles and doubles badminton for 1.5hrs, followed by drinks onsite and/or food at a local bar for those who want to. Cost: Courts cost 36CHF for 45min and the total cost is split between all attendees (usually works out to be between Protected content each). Rackets can be rented from the venue for 5 CHF each. Note: For this group activity we need to make court reservations and therefore it’s important that you only register if you will be attending. Please remember to cancel your registration should you be unable to make it. Any questions, don't hesitate to get in touch on the message board below or with me directly.